Lots of news as always! 1) The family of long-time Billings resident and tennis player, Mary Alice Burnett, would like to invite you to a memorial service to celebrate her life. Point of Contact: Becky Smothermon (Mary Alice's daughter) becky.smothermon@gmail.com, 408-425-1365. Mary Alice knitted baby sweaters for many people over the years. The family is asking you to bring those sweater or pics of your babies wearing them, and/or to bring stories about Mary Alice to share if you are so inclined. 2) There is a five week social mixed doubles league starting at the Elks this weekend. Play will be Saturday and Sunday afternoons. Cost is $15 for elks members, $30 for non elks members. Becky said to text her ASAP if you are interested. She'll said don't worry if you can't play some weekends, etc. she'll fit you in one way or the other. Her text is 861-7885 or email her at beckyking15@hotmail.com. 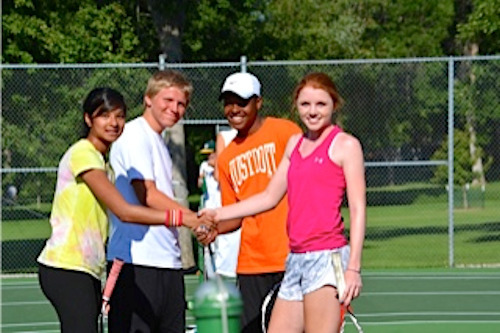 3) The USTA-MT Spring Mixed League is here in Billings May 7-19. 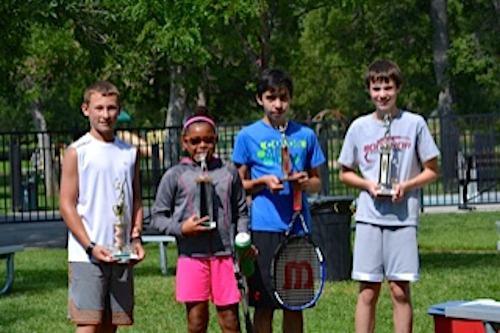 This is an official USTA-MT sanctioned league event, and the winning team qualifies to play in Boise July 12-14. So far, we only have three Billngs teams signed u...and we are the host city! Eek! The deadline to register a team is April 17. Andrea Johnson is the USTA-MT league coordinator. She is working hard to try to put together as many teams as possible. Please contact her if you want to play on a team. You have to be available both weekends. You'll have at least three matches over the weekend and will be playing against teams from all over Montana. If there is a division without 3 or more Montana teams, the division is open to teams from neighboring states who will then compete to represent Montana. It's up to us to form teams and make sure that we have Montana-based teams representing Montana! Let's get on it! Here's Andrea's contact info: 406-579-9609 or ajohnson.mta@gmail.com. Let her know if you are interested in playing on a team and she'll do her best to match you with teammates. The deadline to sign up is May 21. 6) Speaking of poor court condition, Brad Knutson who is now working at the Parks Department has asked us all to write letters to urge the Parks to resurface our courts. Many of our public courts are beginning to show serious signs of deterioration...the Central courts have been taken offline because its too dangerous to play on them. 7) We are working on some new 2019 Programming...stay tuned for more news on that soon! 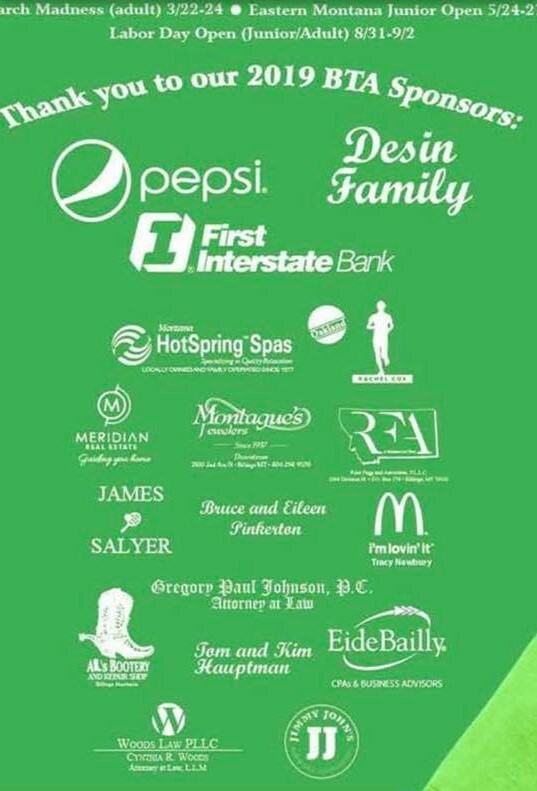 8) Thank you for our 2019 Sponsors. You make all of this possible! Please follow Billings Tennis Association on Facebook. It's much easier to keep our facebook page updated than it is to send out newsletters or update the webpage so we tend to post news to facebook first...our site is www.facebook.com/billingstennis. It's a public page so anyone can view it, even if you are not a facebooker! We also have a facebook "group" that is a good place for tennis players to interact with one another...anyone can post to the group page. Feel free to use it to arrange matches, sell used tennis equipment, report on court conditions, etc. 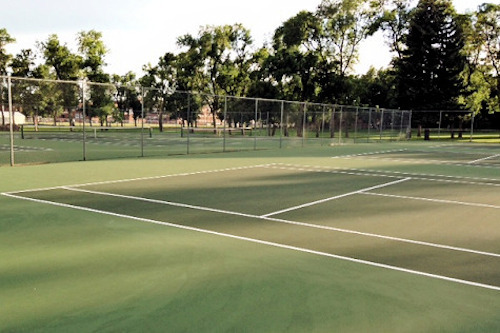 TENNIS IS GROWING IN BILLINGS, MT. My data source: George Moncure. George plays on all of our public courts at various times of the day and night all year round. He says that in 2018 there was rarely a time that at least one other court wasn't being used and this hasn't always been the case. He is convinced that tennis is on the upswing in Billings and I am too! Our BTA membership is strong, our event and tournament participation are solid. We have a great foundation to make 2019 an epic year for tennis! Happy New Year; see you on the courts!